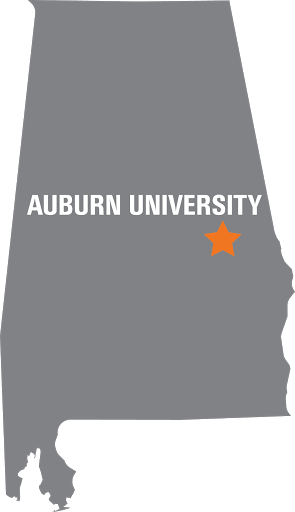 The Auburn University ACI Student Chapter is dedicated to promoting an interest in concrete here at Auburn and in our surrounding community. ACI is a professional organization whose members include those in the design, construction, and education fields related to concrete. 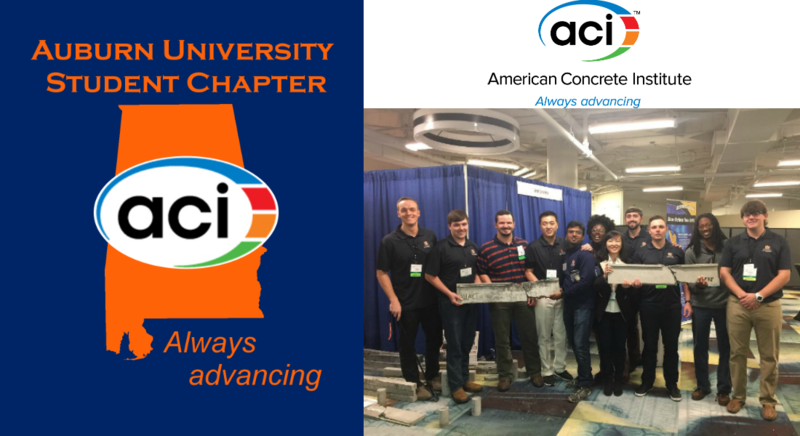 We seek to connect Auburn students to professionals in the concrete industry through educational lunch seminars, our annual event "Concrete Day", and by sending student members to national ACI conventions. Undergraduate student members may compete in the student competition. For the winners of the student competition there will be an awards ceremony and a cash prize. Students from all disciplines are welcome! Thursdays at 12:30 in Ramsay 314. Two General Meetings and three Lunch & Learns per semester. Each semester, we host educational lunch seminars, as well as 2 general meetings. The lunch seminars provide students with opportunities to learn more about different aspects of concrete. The general meetings are hosted at the beginning and end of each semester and keep members up to date on chapter activities throughout the year. Each spring we host a luncheon event called Concrete Day. At this event students, faculty, and concrete professionals are invited to hear a prominent speaker from the concrete industry and take part in a professional showcase. Registration for students is FREE. The spring semester is also when we attend the national ACI convention (location varies), which consists of committee meetings, presentations, and networking events. At this convention, concrete experts from around the world shape the guidelines for design, construction, and practical application of concrete knowledge. We also participate in the undergraduate student competition, which features an award ceremony and a cash prize for the winners. Student competitions in the past have included making a concrete beam, a concrete bowling ball, and a concrete egg drop protector. At the end of the spring semester we attend a retreat at Lake Guntersville hosted by the Alabama state ACI chapter. At this event students have the opportunity to network with ACI members from around the state and attend presentations given by students as well as representatives from concrete related companies.